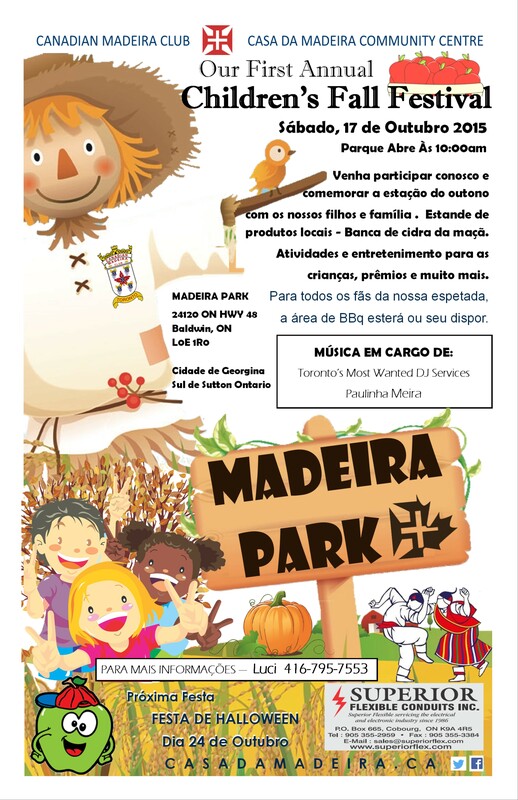 Madeira Park will be focusing on our youth, Saturday, October 17 for the first time! 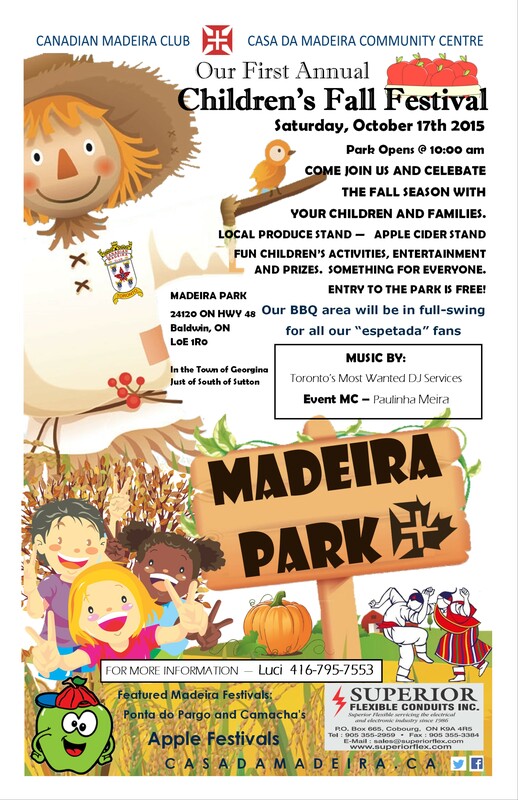 This event will incorporate Canadian fall traditions with a Madeiran touch, including fun games, entertainment and local farm stands! Our popular BBQ area will be in full-swing for all the espetada fans and the delicious malasadas will be of plenty! So much here for everyone! Help us make this day a success and come enjoy the day with your families! ENTRY TO PARK IS FREE! Venha participar conosco e comemorar a estação do outono com os nossos filhos e familia . Estande de produtos locais – Banca de cidra da maçã. Atividades de entretenimento para as crianças, prêmios e muito mas. Para todos os fãs da nossa espetada, a área de BBQ esterá ou seu disport. Would like to thank our event sponsors Nova Era Bakery, Homestead Orchards, Mount Albert Foodland, 4Cats Studios and the Town of Georgina. Thanks for helping make this event memorable to our Children!